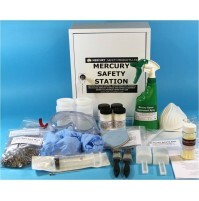 Amalgam Collection Kit All you need for quick, safe and easy collection, storage and disposal of ..
"EVERYTHING YOU COULD POSSIBLY NEED, ALL IN ONE PLACE" Our flagship product; the Mercury Safety S..
Mercury Spillage Kit Our most popular product is the hospital-pattern mercury spillage kit, which.. 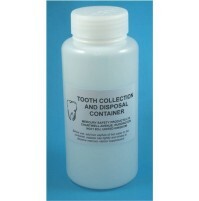 Many teeth extracted in the dental clinic have metal restorations which can be recycled for profit.&.. Waste containers x10 Pack of 10 waste containers for replenishment or replacement in la..